Patellofemoral pain syndrome is characterised primarily by pain around and behind the knee cap. The pain is usually felt during activities that place a substantial load through the knee, such as climbing stairs, squatting, and running. As a result, patellofemoral pain can have a significant impact on an individual’s level of activity, often preventing participation in sports and exercise programs. Patellofemoral pain affects approximately 23% of adults and 29% of adolescents annually and it persists in up to 50% of cases, making it vital to seek appropriate assessment and treatment as soon as possible (Collins et al, 2018). Why does patellofemoral pain occur? Patellofemoral pain is a non-traumatic injury. 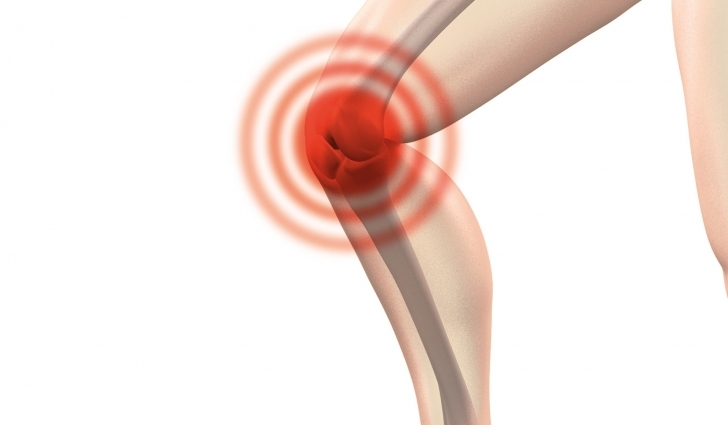 Patients usually report a gradual onset of pain at the front of or around the knee cap. This onset of pain is usually associated with an unaccustomed increase in activities that load the knee (e.g., increase in training, climbing more stairs, squatting, running, etc.). Whilst we aren’t exactly sure where the pain is coming from, it is generally accepted that patellofemoral pain results from abnormal loading of the knee cap. The primary risk factors that contribute to abnormal loading and patellofemoral pain are biomechical in nature. They include, for example, a larger angle between the hip and knee, altered position of the knee cap, and decreased hip and knee strength (Lankhorst et al, 2013). Apart from abnormal loading of the patellofemoral joint, there is no one specific structural cause of patellofemoral pain. What we do see, typically, is deficits in the kinetic chain (from your foot up to your hip). These deficits will impact on how the patellofemoral joint is loaded and, hence, can contribute to your pain. As a result, if you are suffering from patellofemoral pain, it is important to be assessed by a skilled clinician in order to identify which deficits are present. Based on the information ascertained in the consultation with your physiotherapist, an individualised treatment plan will be designed and implemented, taking into account the irritability of your patellofemoral joint and the deficits identified in your physical assessment. As mentioned earlier, patellofemoral pain has a tendency to persist if not treated appropriately from the start. While you may be able to ‘put up’ with the symptoms in the early stages, it is far better to address the problem quickly before secondary complications arise. If you are experiencing pain in and around your knee cap, it is certainly recommended that you review with a physiotherapist for a professional biomechanical assessment and treatment plan. Barton, C. J., Lack, S., Hemmings, S., Tufail, S., Morrissey, D. (2015). ‘The ‘best practice guide to conservative management of patellofemoral pain’: incorporating level 1 evidence with expert clinical reasoning’. British Journal of Sports Medicine, 49, 923-934. Barton, C. J., Lack, S., Malliaras, P., Morrissey, D. (2013). ‘Gluteal muscle activity and patellofemoral pain syndrome: a systematic review’. British Journal of Sports Medicine, 47, 207-214.